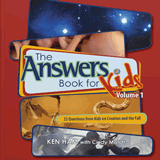 Space and Astronomy Finally—an answers book suitable for kids! 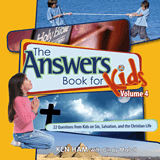 Kids are never short of questions—and now there are answers to some of their most difficult ones regarding the Bible and creation! 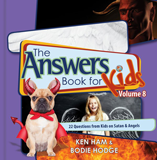 But they also present a wonderful opportunity to share important biblical truths with eagerly questioning minds through answers that even the youngest believer can understand. 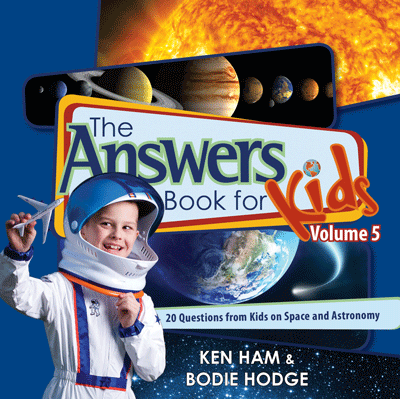 In Volume 5, children get answers to the top 20 questions on space and astronomy. 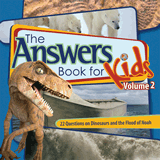 The Answers Book for Kids series is a unique collection from Ken Ham and the creative team at Answers in Genesis. 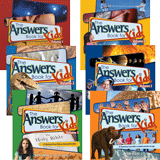 Space and Astronomy Finally—an answers book suitable for kids! 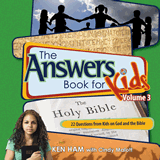 Kids are never short of questions—and now there are answers to some of their most difficult ones regarding the Bible and creation! But they also present a wonderful opportunity to share important biblical truths with eagerly questioning minds through answers that even the youngest believer can understand. In Volume 5, children get answers to the top 20 questions on space and astronomy. 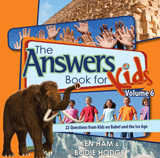 The Answers Book for Kids series is a unique collection from Ken Ham and the creative team at Answers in Genesis.